Admirers of Ulysses are very lucky. James Joyce’s decision to craft the book around one specific day gives us reasons a’plenty to revisit, reJoyce, and reflect on Ulysses each and every year come 16 June. The resulting Bloomsday celebrations around the world are often rich with public readings. Last year a few dozen fans of the book, including myself, converted that Bloomsday tradition into an online “tweading” by posting strands of Ulysses on Twitter for 24 hours nonstop. Readings are great – a pleasure for the ears – but they are a limited way of engaging the book and its intricacies. The complex Ulysses experience for readers cries out for discussion: a chance to debate, dissect, and decipher the book’s daunting universe. Where outside of the classroom or the rare reading group can you express your take on Ulysses and hear from others about how this Joycean juggernaut has made them groan and grow? So here’s an idea: This year let’s start a new Bloomsday tradition – Ulysses Dialogues – and engage with each other to dig deeper into the book and what it means to us. All you have to do is shut your eyes (open your mouth and ears) and see. 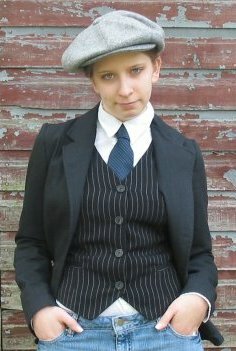 Let a thousand Ulysses Dialogues bloom this Bloomsday! Make them local in pubs, living rooms, and parks. Make them in two’s and three’s and twenty’s. Make them global through the expanse of Google+, blogs, and vimeo. There’s no shortage of ways to connect. Let’s put them to good use. 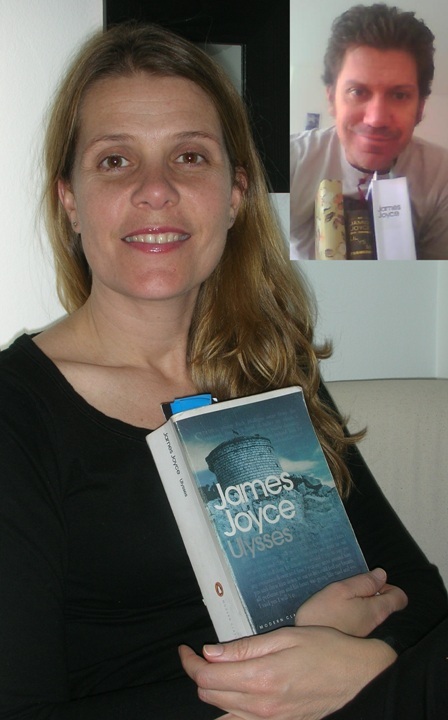 To help get this Ulysses conversation started, I’ll be taking the LiberateUlysses project to the International James Joyce Symposium at Trinity College and University College Dublin (10-16 June) to connect Joyce scholars with the rest of the world through webchats, live tweeting, and Facebook (LiberateUlysses). And with any luck we’ll also stir up Ulysses Dialogues in other Dublin venues throughout Bloomsday week. But it’s up to you to make this a global conversation. Last year 44 people from a dozen countries contributed to the “Ulysses Meets Twitter” experiment, and that was just on one social media platform. 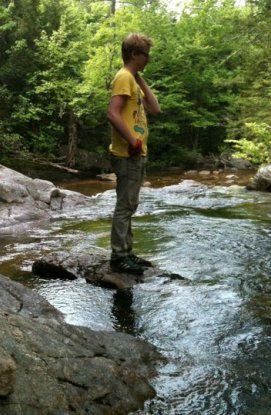 And so the call goes out to Ulysses lovers everywhere to get a conversation started this Bloomsday on the scale, venue, and platform you’re most comfortable with. The LiberateUlysses project offers support and promotion to help you connect with others through this blog and our 4,000+ @2lysses Twitter followers. If you’d like to work with us to host an in-person or an online Ulysses Dialogue, write to us and describe your choice of venue, platform, and dates. Or if you’d just like to participate in a Ulysses Dialogue, let us know and we’ll try to connect you with others. 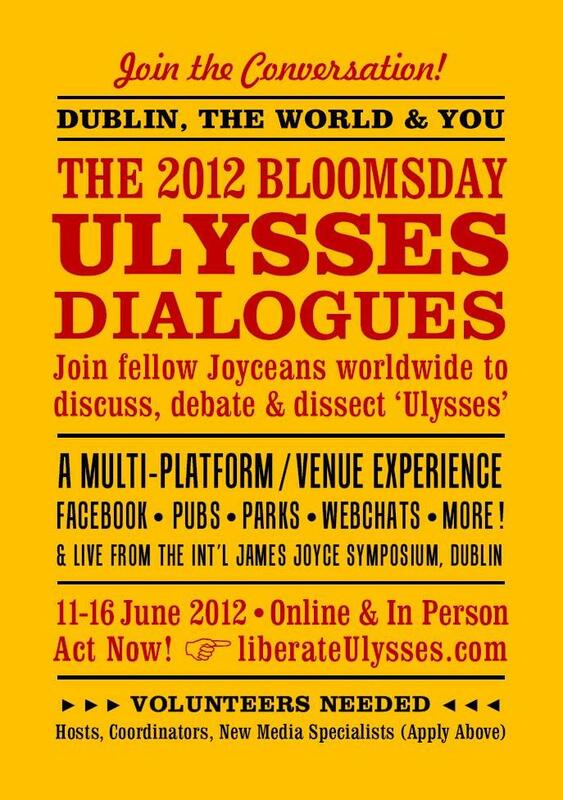 Our goal is to distribute a list of worldwide Ulysses Dialogues by 2 June 2012. 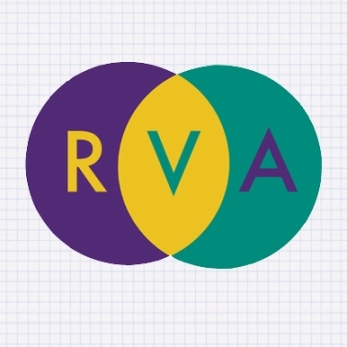 We are seeking new media specialists (video, livestreaming, podcasting, photos, etc.) in Dublin to help with our Bloomsday week activities in the Hibernian metropolis from 11-16 June. If you’d like to volunteer your skills to bring Dublin’s Ulysses Dialogues to the world, write to us by Friday, 20 April. Interested? Write to Steve Cole at sc11ysses@yahoo.com. What – A(n attempted) poetic tour-de-bloomsday done in a refried prosody of plagiarism. A series of poems in the mode of poets like Kenneth Goldsmith who use assemblage of the modern world to create their work. (Joyce did much the same thing in writing Ulysses.) My goal is to use a “plagiaristic” poetics, in the sense that it makes free and dynamic use of Joyce’s own words, to create a highly personalized account in a variety of verse forms. Who – Marija Girevska, Macedonia. I am a translator at Ss. Cyril and Methodius University in Skopje, teaching Modern English at the Faculty of Orthodox Theology. 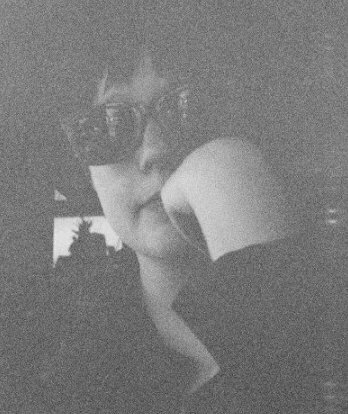 My key interests are Joyce’s work, the French surrealists and fantastic fiction. What – The project consists of three parts: a poem, a painting, and a translation. The first is my poem “Plenty of Stories” inspired by my first reading of Ulysses and The Portrait of the Artists as a Young Man. The second is a painting illustrating a certain atmosphere or scene from Ulysses. The third is a Macedonian translation of that scene that I want to paint. It is a great challenge to translate Ulysses into another language, as English is perhaps the richest language in terms of wordplay that Joyce mastered in Ulysses. 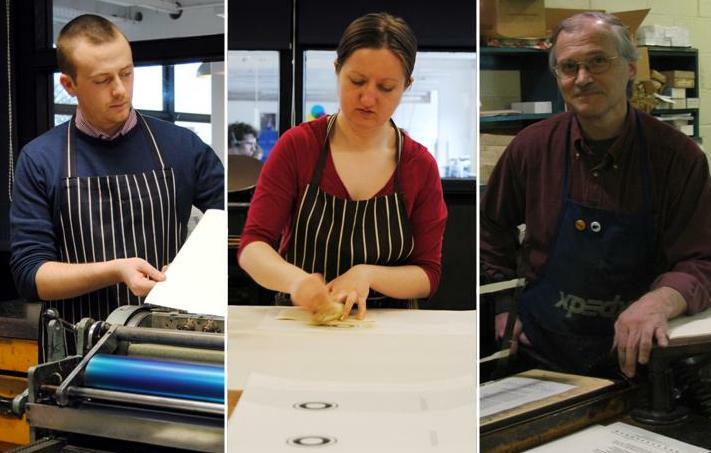 What – A limited edition series of letterpress posters printed with handset wood type that weave together a collection of tweet-length excerpts from Ulysses. Our vision is to create a visual exploration that shows the richness and complexity of Joyce’s work through variations in type, composition, and color. What — Our project, “Wandering Rocks,” is a sister and brother sharing from afar the experience of reading Ulysses and then celebrating June 16 together in Dublin. As we approach Bloomsday, we will exchange our thoughts on what the book provokes in us as we get deeper into it. The project culminates on Ana’s birthday when we share in the experience of letting the story guide us through Dublin. 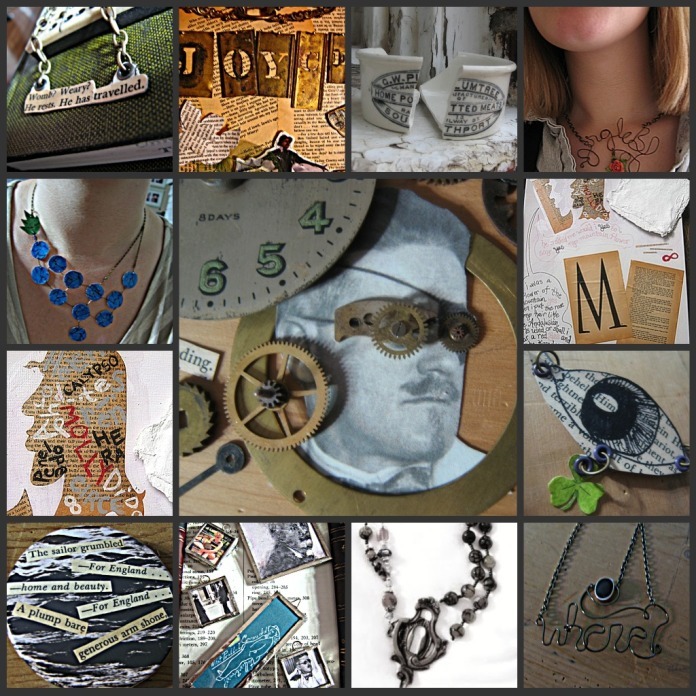 What – I will make steampunk jewelry pieces & decorations representing each of the episodes in Ulysses from found objects. What – A love-letter to the language of Ulysses in the form of a series of prints, one for each of the sections of Ulysses. These prints will be purely typographical. We want to celebrate the materiality of Joyce’s language. What better way than to pick the most striking, bizarre, beautiful passage from each section and luxuriate it in the form of the letters themselves? What – I tackle issues of identity and violence in the “Ithaca” episode with a visual poem set to Joyce’s own words. The short film will focus on dream-like images that progressively blur, using quotes that correspond to the key images in the chapter.